You might remember last year at the PlayStation Experience Sony released a 20th Anniversary PS4 that sold out within seconds of it’s announcement for sale and many were unfortunate enough to not be able to purchase one. While there has been no news about another release about the console itself at E3 Sony confirmed the release of the controller that had come with the System itself with a cool retro look more of a PlayStation 1 controller in grey and with the PS1 logo as well. The controller is set to sell for $64.99 USD, a little markup over the price of a normal controller by $5 but for the new look it might be worth it to you especially if you are nostalgic about the good old days! 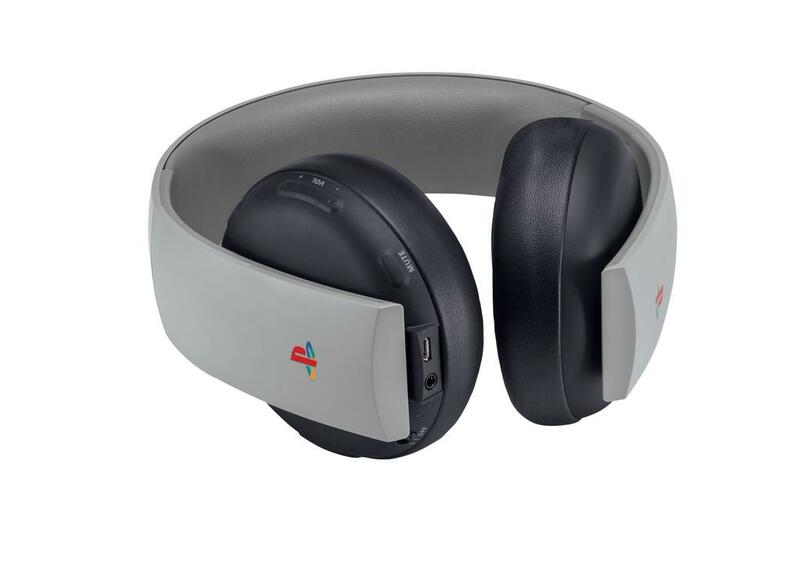 That’s not it though, Sony is also releasing a Playstation 1 themed Gold Wireless headset for PS4 as well. Following the same color scheme and logos it will fit in perfectly with your new controller as well and luckily this time it will cost the same as a normal Gold Wireless Headset at $99.99 while a bit expensive, if you were planning on getting a new headset and were eyeing the Gold Wireless one from Sony anyways it might be worth the wait.